Zoëtry Paraiso de la Bonita is a five star retreat combining modern luxury with holistic wellness, serenity, and romance. Strategically positioned along Cancun's renowned Riviera Maya and offering wonderful ocean views, this resort has been awarded the AAA Five Diamond for 15 successive years. The resort’s 100 beach facing suites are exclusively decorated with fine art pieces from around the globe, reproducing seven cultural themes: Oriental, Hindu, Balinese, Mexican, Mediterranean, Caribbean and African traditions. Choose from a range of premium fine dining restaurants, with three restaurants and one sushi and ceviche bar, as well as two exclusive restaurants for Impression and Butler guests. 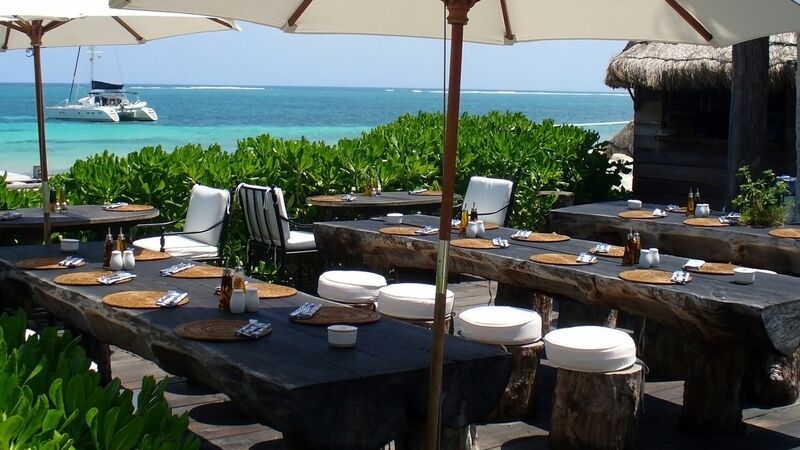 The resort’s restaurants serve a wide range of organic à la carte dishes containing locally grown fare and personalised recipes. From shopping at the prominent Marina La Bonita, and sailing in the sparkling Caribbean waters, to golfing in world class courses, and regenerating at the award-winning Thalasso Center & Spa, guests of Zoëtry Paraiso de la Bonita have a wide range of activities to enjoy during their stay at the resort. Endless Privilages® all inclusive includes gourmet breakfast, lunch and dinner, complimentary cocktails and local & international top-shelf beverages, 24-hour in-suite private dining, bottle of sparkling wine and fresh fruit daily, welcome bottle of Tequila, shopping tour to Puerto Morelos by boat, hydrothalasso pool and aqua gym, complimentary one hour catamaran sunset sail, complimentary overnight laundry service, complimentary relaxing Thalasso Seawater experience, Temazcal steam room ceremony, access to sauna, steam room, Jacuzzi® and cold plunge pool, daily afternoon tea, complimentary green fees at Grand Coral Riviera Maya golf course (additional fees may apply), no check-in and check-out time. Enjoy steak, seafood, chicken and other fresh ingredients grilled on a Zapote and mesquite wood fire. This award winning restaurant serves a creative menu featuring authentic spicy Mexican blends. 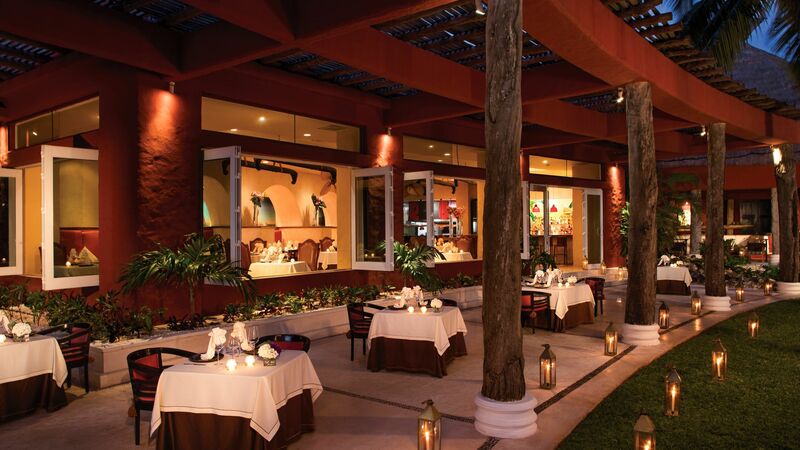 Ka’ax offers fine international cuisine complemented with authentic Mexican flavours to create a unique experience. The dress code is resort casual. This hot Asian fusion restaurant is available exclusively for Impression and Butler Suites members, and features savoury dishes to please any taste. The dress code is smart. Savour à la carte international and Mexican dishes while sharing a stunning communal marble table at the Impression Club. Open: 07:00 – 11:00 and 12:00 – 17:00. Dinner is available on request. Hippo is the resort’s poolside bar and offers refreshing cocktails in a beautiful setting with ocean views. Perfect for guests who enjoy reading in a calm and cosy atmosphere. The Library Bar serves a special selection of wines and spirits. An Impression Club exclusive, La Bonita Bar is a charming indoor bar that offers top shelf spirits and a classic billiards table. This stylish lounge is exclusively for Impression Club guests and is perfect for those who want to relax in a quiet corner at any time of the day. 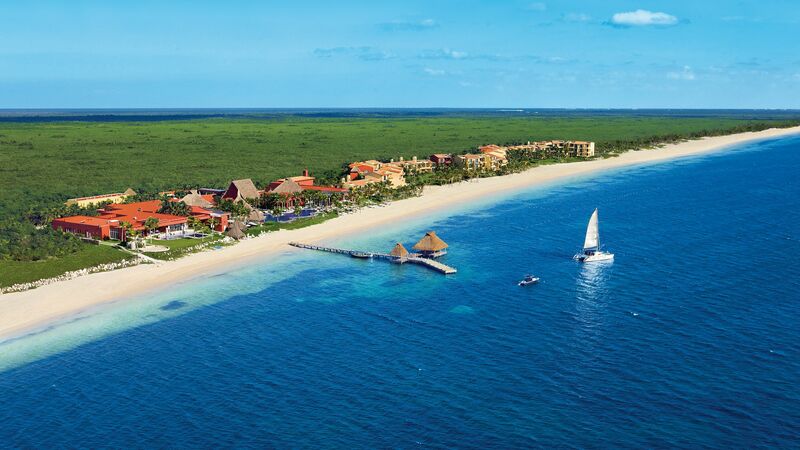 Zoëtry Paraiso de la Bonita boasts a stunning private white sand beach with exceptional services. 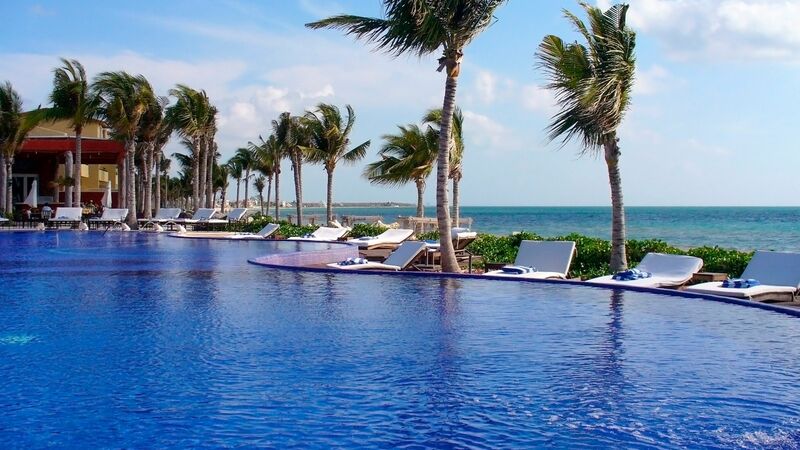 The resort comprises a number of infinity pools with spectacular views over the Caribbean Sea. 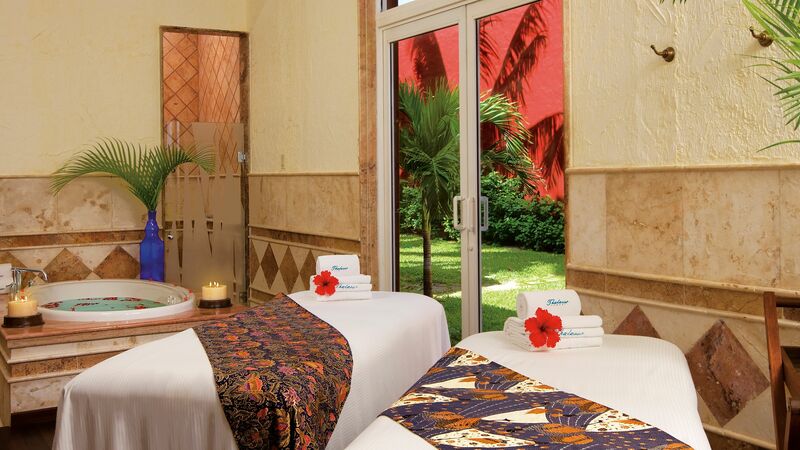 Guests at Zoëtry Paraiso de la Bonita can revitalise and restore their spirits in the award-winning Thalasso Centre & Spa. 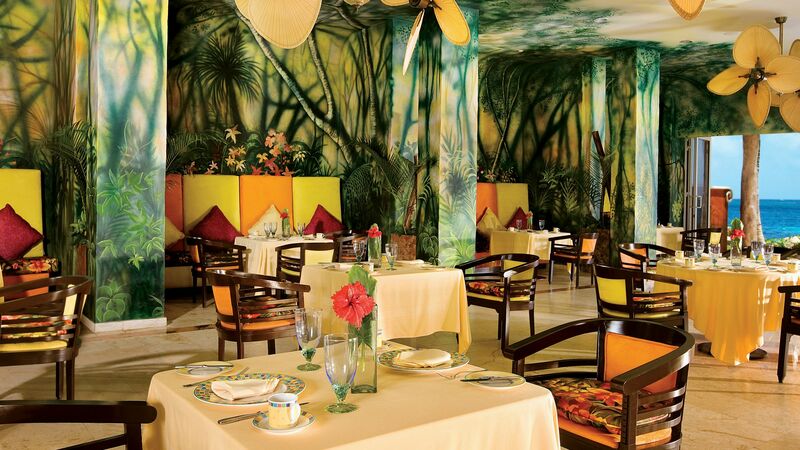 The resort offers a wide range of activities for its guests, including ceramic painting, cooking and cigar making classes. The Grand Coral Riviera Maya golf course is a world class 18 hole course designed by Nick Price, and is easily accessible from the resort. For those who like remain fit during their holidays, Aqua gym, Hatha and Vinyasa yoga classes are available. The Riviera Maya is a idyllic holiday destination, located south of Cancun in Mexico. It overlaps the coastline Fed 307 along the Caribbean shore of the state of Quintana Roo. The Riviera Maya is very well known for its collection of all inclusive luxurious resorts and charming boutique hotels, as well as excellent fine dining outlets which are attractively presented along the famous Fed 307. Here you’ll find some of the area’s best views, over the white sandy beaches and sparkling seas of the Caribbean Ocean. Active guests will find plenty of day activities on offer, including river tubing, jet skiing, sailing, horse riding and zip lining. If you prefer to explore underwater try snorkelling or scuba diving in the world’s second largest coral reef, which is located just off the shore. Zoëtry Paraiso de la Bonita Maya is a 45 minute drive from Cancun Airport. Ocean Front One Bedroom Suites with Terrace measure approximately 105m² and are located on the second and third floors. Facilities include two double beds and private terrace with a double sun lounger or a hammock. Romance Ocean Front One Bedroom Suites With Terrace are the same as the Ocean Front One Bedroom Suites, featuring a king size bed. Ocean Front One Bedroom Suites with Plunge Pool are slightly larger than the Ocean Front One Bedroom Suites at approximately 116m², offering two double beds and a private pool. Romance Ocean Front One Bedroom Suites with Plunge Pool are the same as the Ocean Front One Bedroom Suite with Plunge Pool, featuring a king size bed. Romance Ocean Front Lover's Suites are located on the ground floor and are approximately 120m². These suites offer a large terrace with a double sun lounger, plunge pool and outdoor shower. Ocean Front Master Suites Two Bedroom with Terrace measure approximately 170m² and feature two master bedrooms with king size beds, each having its own private bathroom with sunken bath. Both bedrooms and the lounge open onto the terrace with plunge pool. Ocean Front Two Bedroom Master Suites with Plunge Pool measure approximately 170m² and feature two master bedrooms with king size beds, each having its own private bathroom with sunken bath. Both bedrooms and the lounge open onto the terrace with plunge pool. Ocean Front Two Bedroom Presidential Suite measures approximately 275m² and is decorated with pieces of art from around the world. The suite is located on the ground floor and has a private plunge pool as well as two bedrooms with their own adjoining living areas. Wow! Where do I even begin? Staying at the Zoetry was unlike any experience I?? ?ve ever had. My husband and I came here for our honeymoon and couldn?? ?t be happier with our stay! Upon our arrival we were upgraded to stay in an Impressions suite (their exclusive and highest end in the resort). We were welcomed by Farid, Ankara, Edgar, and Antonietta with a cool towel and a refreshing drink. We were introduced to our 24/7 butlers, Edgar, Isaac, and Omar and shown to our suite. We walked in to see a perfect view of the ocean right outside our balcony. Inside of our suite they had a display of some of the finest chocolates we?? ?ve ever tasted presented on an extravagant multileveled spread. Next to the chocolates we found a framed photo of our engagement that they had put together as a gift for us upon our arrival! On our balcony we had our own private plunge pool that we could heat or cool depending on our preference. Each morning we woke up to the ???special??? of the day cooked especially for us by our private chef, Angel. We were able to enjoy our own private and spacious cabana each day, with all inclusive full service food and beverage. One afternoon we decided we wanted to paint, and voila! We got to pick out our own ceramics and paint right there by the beach!! Another afternoon we were able to participate in a native ancient ritual, Temescal. We enjoyed our sunset cruising, daytime kayaking, and even our own cooking class where we learned how to make Ceviche! Each evening we were treated to a special menu by one of their chefs. (Request the duck ravioli from Saul at Caax!! - it?? ?s the best meal I?? ?ve ever had!!... mouth is watering right now). Upon our departure I was gifted a native Mexican red dress, it is so beautiful and I will keep it forever! I not only had an amazing time with my new husband, but also, an amazing time with my new Zoetry family. All my life I?? ?ve been dreaming of what my honeymoon would be like, and the staff here exceeded all of my hopes and dreams! 100/10 recommend. “ Feeling conflicted and DO NOT BRING KIDS HERE! So I feel so conflicted about this resort. I loved our time here and the resort is beautiful but...well I will just put this review in The good and The bad format: The good: The property is stunning, very lush,with a laid back vibe, animals everywhere, very green, quite, and comfortable. I felt as though I was in heaven. The room was simply wonderful, it was our style and it was large, beautiful, with an amazing view and a stunning patio. We loved the plunge pool it was like having our own private pool attached to our room. We spent lots of time on the patio, napping, reading books and putting our feet in the water. The bathroom was huge with two showers and a bathtub that was more like a two person hot tub. The staff were so friendly and helpful. Concierge set up a surprise in our room with rose petals and a bubble bath. Truly, a touching gesture that will make me always think fondly on this resort. The resort felt super safe with a gated entrance and super tight restrictions on who they let through those gates. When we had problems, they were addressed super promptly. Snorkeling was a blast we saw many fish and snorkeled for a full hour. Pools were gorgeous with comfortable chairs and attentive staff. Wonderful restaurants with fantastic unique food. I loved eating at Kaax overlooking the ocean. This made for wonderful memorable dining experiences. The spa was amazing. Thelasso water therapy was great. Massage was fantastic. Clean facilities. Outdoor shower was awesome. The bad: While it was wonderful to have all the animals on the site there were drawbacks to this as well. The birds were super noisy. I would request a room away from the bird cages but even then the beautiful peacocks are super loud and woke us up on occasion. We made the mistake of leaving food on the patio for about 15 minutes and when we came back we had a lemur on the deck chowing down who was not afraid of people. When I finally got him to leave he knocked down the glasses breaking them and shattering glass over the patio. We did have two very large cockroaches in our room over the course of our stay as well but maybe this is normal for tropical destinations where we have open patio doors? While eating one night at El Chiringuito our table was invaded by lots of ants. They were all over the place and crawling onto the plates. It really ruined the dining experience. The outdoor shower, while we loved it, one should know that people on the upper floors of the complex can see you when you are showering and if you are showering naked they can see that too. This did not bother us too much but if you were not ???ok??? with people seeing you naked then this shower would not be useable to you. I have added a picture looking down at our shower from the upper deck that the guest in that room use to access their room. This is not a kids resort so even if they allow it just don?? ?t bring them. We have two kids and I would have felt awful if we had brought them. First off, they will be bored and secondly people who are trying to relax in the quite will be shooting you and your kids??? daggers for interrupting the serenity of the resort. Booking of the included activities, this felt like a bit of a scam on the advertisement of the resort. This super bummed us out! The two things we wanted to do we could not. We wanted to take part in the Temazcal Ceremony and we called down to the spa as soon as we checked in and they were already filled completely up for the times during our stay even though the resort only felt about half full!!! If they cannot get guests into this included activity then they need to add more times and days for which it is offered so that everyone who wants can partake in it. The second thing we wanted to do was the one-hour catamaran ride. We did not book this as we were booked for a four hour snorkeling cruise on a catamaran, well then the 4 hour catamaran got canceled presumably because a group wanted to book the catamaran at the last minute and so they bumped us to a one hour snorkeling which was on a tiny boat and included no cruise. By the time this all happened all of the sunset cruise options were booked full and so we did not get to partake in this activity as well. The beach and this is at no fault of the resort but it was full of seaweed/algea. If you are coming to the Caribbean with thoughts of swimming in the ocean or doing any ocean activities this is not the place to do it. It was seriously bad. The water is four smelling brown and murky. The only time we could swim in the ocean was during our snorkeling time out at the reef and even then, you had to push the seaweed away as you were swimming. The dining options are super limited. While all of the restaurants are fantastic this resort really does need a grab and go option. The service is slow! You need to know this going in and be able to plan accordingly. I kind of liked it as we took our time and were able to enjoy the dining experiences but towards the end of our time there it got to be kind of irritating. For instance, we dined El Chiringuito one night. During this time, they were nearly full and yet only had two servers. It took an hour for us to get our food that night and 2.5 hours to complete dinner. My husband was definitely getting Hangry waiting over an hour for food. The vacation club sales pitch. We were offered some free spa perks to go for a 90-minute sales pitch at a sister property. Unless you are like us and hell bent on getting a spa but refusing to pay the outrageous prices at the spa then DO NOT GO TO THE HIGH PRESSURE VACATION CLUB SALES PITCH!!. We have been to these before and wanted to check out Secrets Maroma beach as we had debated booking at that property and wanted to see it for next time. We figured we had been to these sales pitches before and how bad can it be. OMG it was so bad, they take you hostage with no way to end the pitch and get out in any reasonable amount of time. We were there for 3 hours and had seven different people trying to pressure us into becoming a member. It was the highest-pressure most uncomfortable pitch we have ever been to in our lives. Just don?? ?t do it! On the plus side, we did see Secrets Maroma Beach, which made us feel confident we had choose right for us in going to Zoetry. The gift store is outrageously priced. Do not forget sunscreen, after sun lotion, etc!! One bottle of normal spray sunscreen was $27 and that is American dollars!! I had to buy some aloe vera gel for a sunburn, $14 American dollars for a travel size of cheap aloe vera gel. So overall I feel very mixed about our stay. While I was there, I was blown away by how beautiful and relaxing it was. The food was wonderful and I fell in love with our room and bathroom. However, I?? ?m not sure I would go back because we love to swim and play in the ocean and that just simply is not an option here at this resort and probably not an option for most resorts in this area. And I don?? ?t feel as though I am a beach snob. We have swam in beaches from San Diego all the way up to Oregon. We have swam in beaches along the Florida coast and on beaches on nearly every Hawaiian island and I have never once felt grossed out and refused to swim until this trip. So I guess in summary if you are just looking for a chill super nice resort to hang by the pool this is the place but for anything more than that I would probably look somewhere else to stay. Let me start this review with sending a clear message to UVC members. If you are UVC member this is not the place compared to Secrets Resorts. And for this reason my rating to this resort is 2 Stars. UVC members there is nothing special for us in Zotery. No Members lounges, no members rooms upgrades, nothing extra for the thousands of U.S dollars that we paid to get something special! If you are not a UVC member, thus you didn?? 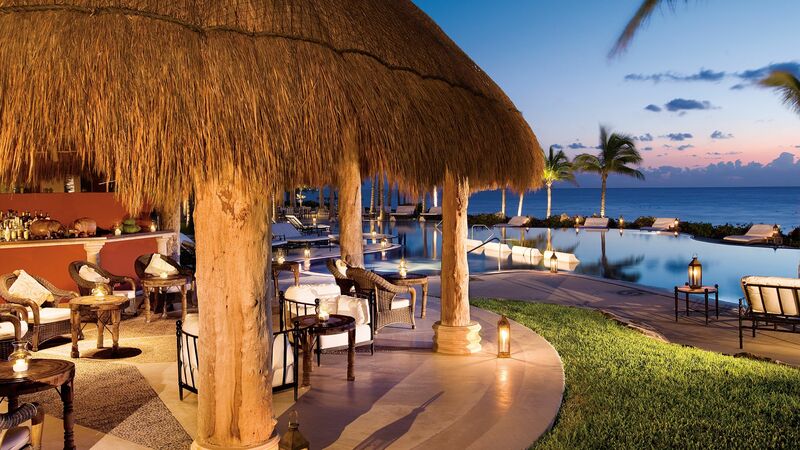 ?t experience The luxury treatment UVC members get so you will rate this resort 4- 5 stars! Now, let?? ?s give a review that fair to all travellers! It?? ?s not cheap resort and it?? ?s you paying prime. We booked the tip luxury room. P.S room service not good ! And guess what ! With all that money we paid there is no mini bar inside the room! I wished I brought my Single malt scotch bottle to have couple drinks in the Plunge pool located in the balcony! This is nice and beautiful, amazing location and a view from every corner of the resort. It?? ?s a small resort with 100 units only. Beautiful beach and pool. If you are 55+ years old this is the place for you! You will definitely enjoy every moment. The whole resort completely shut down at 10:30 pm. The resorts lights completely turns off at 11 pm. There is no life after 11 pm. If you are looking for a scotch on the rocks after dinner maybe with a nice cigar ! Sorry not available after 11 pm. This resort has only 3 restaurants. So if you staying more than 3 days like us 5 days you will need to repeat the restaurants after 3 days with the same fixed menu. Menus are ok nothing special but in general food is good. The maximum stay I would do is 3 nights only in this resort! Being a UVC members we have access to all AM Resorts so after the first night we decided to go every night to a different resort to have dinner and have better time and see people and listen to some music! We got depressed seeing the whole resort shutting down at 11 pm. $20 taxi round trip to Breathless and Silver-sand Resorts was ok to spend to have good time. As soon as I hit 60 years old in 20 years I?? ?m coming back to Zoetry with standard expectations. Definitely I?? ?m sending my adorable parents here for their 40 years anniversary! P.S after arriving to the resort we saw adorable and cute kids running around. Guess what! we found out that Zoetry is a a family resort not Adults only ! Very misleading on the website ! We are sticking to Secrets Resorts ! Cheers !